The novelty in the market of winches for Trucks and SUVs WARN ZEON 12 is designed for heavily loaded cars. It is characterized by both increased power and great reliability. A steel cable with a galvanic coating 24.4 m in length and 9.5 mm in diameter, which a winch is equipped with, develops a force of 5,443 kg. This model is designed for the most severe operating conditions. If off-road adventure is what you love most, then find out more about the features making Warn Zeon 12 definitely worth your attention. The winch WARN ZEON 12 is equipped with a lightweight large diameter drum, which reduces the wear of the cable. 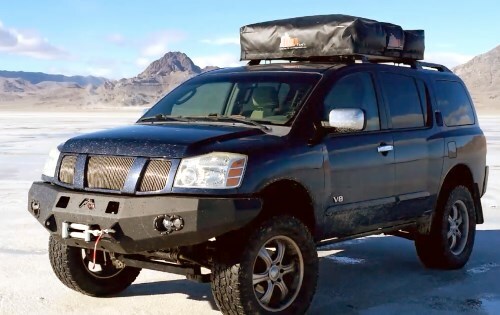 An anchor attached to the cable will provide a simple fixation of the cable for a tree or other fixed object to pull your SUV out of the swampy terrain. The winch body is covered with black powder paint, and the fasteners, as well as the clutch lever, are made of stainless steel. Besides excellent appearance, it also provides a reliable protection against corrosion. 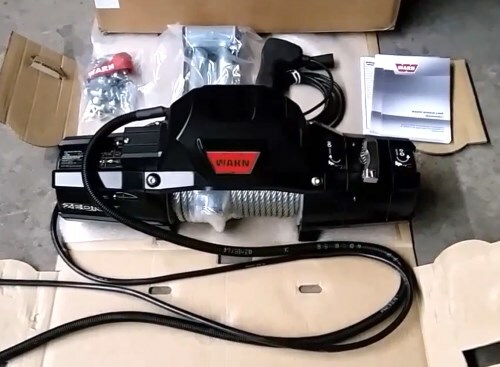 The universal installation of the WARN ZEON 12 winch is ensured by the possibility of mounting the control unit, both on the winch itself and in any other convenient place, by purchasing a control unit transfer kit that is sold separately. The transfer unit can be selected for both short distances – 80 cm, and for long distances reaching up to 2 meters. The WARN ZEON 12 is equipped with a transmission and an engine that provides a quick and quiet operation. The model features an improved gland system that prevents water and dust from entering the winch body in accordance with IP68. Why Should You Hurry Up to Become the Lucky Owner of Warn Zeon 12? The well-known American manufacturer of electric winches, Warn, has launched the unique innovative Zeon series, which includes electric winches for SUVs with a pulling capacity from 8,000 to 12,000 pounds. All the winches of the presented series are distinguished by a stylish laconic design, which has been improved compared to the previous winch series: wider drum, improved gearing, the ability to buy a remote winch control unit, etc. Well, Warn winches never stop and surprise again and again creating really powerful winches and Zeon 12 is a great proof of this. 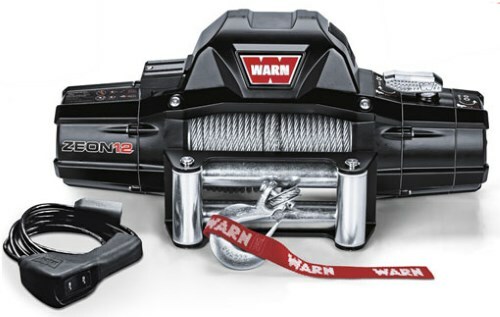 Winches for Warn Zeon 12, indeed, can be attributed to the winches of a new generation. Designers have developed a symmetrical body in black and metallic colors, which makes the winch a worthy accessory for cars of any class. The design of the winch has been made to serve you for many years. The winch body reliably protects the mechanism from water and dirt while the powder paint in black color prevents corrosion. The Zeon 12 winch is equipped with a high-strength zinc-coated steel cable 24 meters in length, and the increased drum ensures its less wear. Also, an impressive pulling force of 12 lbs will make it possible to pull out even a very heavy car. The winch control unit can be installed permanently with a winch, and can also be moved to any other place. 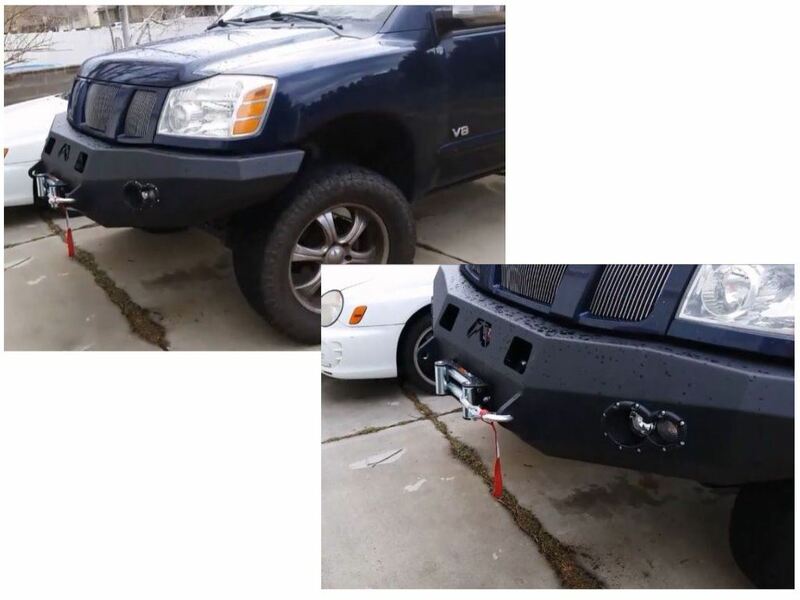 This gives more possibilities for the installation of the winch and its final appearance. Bear in mind that the remote unit for the winch needs to be purchased separately, it is not included in the basic kit. Improved planetary gear transmission provides a high-speed cable reeling and very quiet operation, which is also very important. 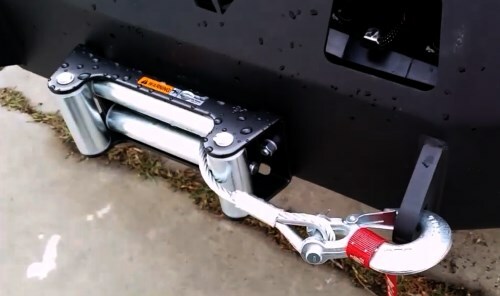 It is not my first WARN winch and being an expert in the use of winches manufactured by this brand I can say that Zeon 12 is the best winch I have ever had. First of all, I’d like to admit that it has the innovative design, which I like much. 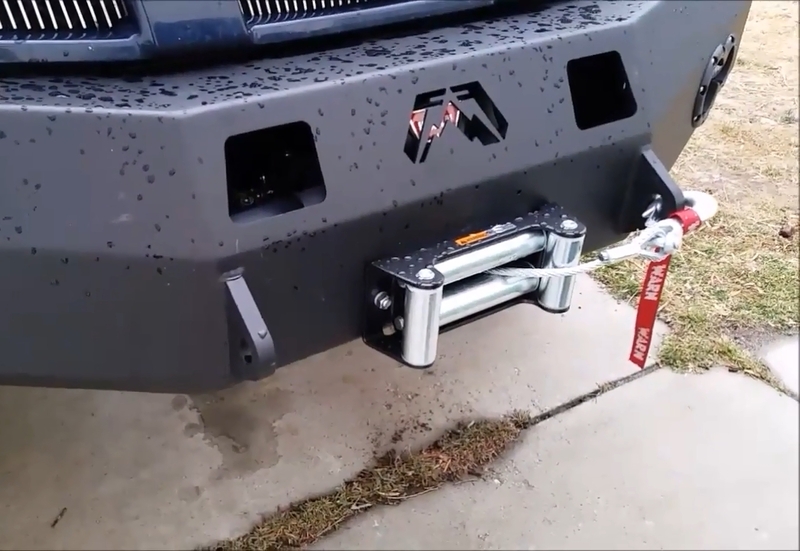 Sure, that it is not the most important thing when choosing a winch but as for me this feature also matters. It is powerful and I have already checked this when had a trip and got stucked. The winch helped me to get out of swamp, despite the fact that my SUV was really heave that day. It is a reliable device I can recommend everyone to buy. Thanks for the detailed review. I have just decided to get Warn winch but thought about the model of other series. This review has helped me to change my mind because I can see how many advantages Zeon 12 has compared to other Warn series. I think that this winch model has a good price-quality ratio. Think I will get it for my vehicle soon. 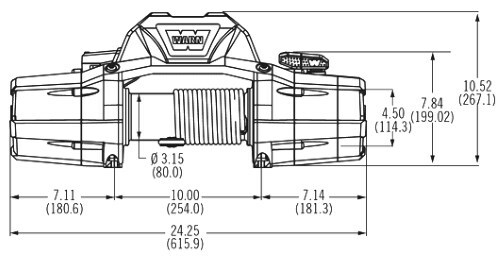 It was very helpful for me because now I know that the winch without any serious drawbacks is Zeon 12. I have checked its features and understand that the only disadvantage for me is the winch price. However, it is worth it if you have a really heavy vehicle because if not then to my mind, there is no sense to overpay.